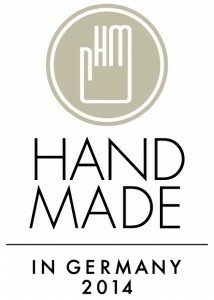 Das fränkische Kellerbier St. ERHARD, welches mittlerweile schon in vier Kontinente exportiert wird, wurde als eines von nur 100 Exponaten für die internationale Tourneeausstellung „Handmade in Germany“ von den Kuratoren Pascal Johanssen und Katja Kleiss vom Direktorenhaus Berlin ausgewählt, um die lange Tradition und Qualität deutscher Handwerksprodukte in 15 verschiedenen Weltmetropolen zu repräsentieren. 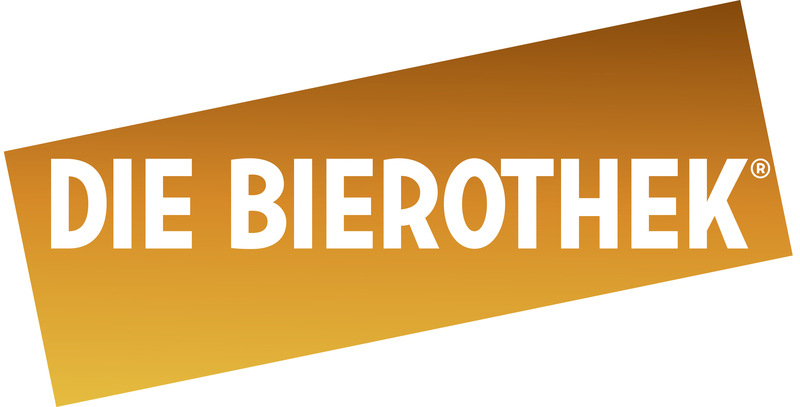 Das St. ERHARD Bier, welches in diesem Jahr als einzige deutsche Biermarke bereits für sein Flaschendesign mit dem German Design Award ausgezeichnet worden ist, wird nun auch bei der „Handmade in Germany“ Worldtour 2014 – 2016 als eine von 100 deutschen Luxusmarken auf Weltreise gehen. Die Palette der ausgestellten Manufakturprodukte reicht von hochwertigsten Uhren über kostbare Instrumente bis hin zu typisch deutschen Erzeugnissen wie Bier, welches durch die junge fränkische Biermarke repräsentiert wird. Die auf mehrere Jahre angelegte Tourneeausstellung möchte einem internationalen Publikum deutsche Qualitätsprodukte näher bringen. Dabei stehen handgemachte Produkte aus Deutschland mit besonderem Anspruch an das Design im Vordergrund. Ausgewählt wurden die Exponate durch Kuratoren in einem aufwendigen Verfahren. Am heutigen Freitag, den 19. September 2014 startet die Ausstellung in St. Petersburg. Danach verläuft die Route über Asien nach Amerika und den Mittleren Osten, um den Weg wieder nach Europa zu finden. Wichtige Stationen der Tournee sind unter anderem die Weltmetropolen Moskau, Shanghai, New York, Tokio, Istanbul und Abu Dhabi. Die Idee der Tour selbst ist inspiriert von der so genannten „Walz“. So nennt man seit Jahrhunderten die Gesellenreise im deutschen Handwerk, eine Reise zukünftiger Gesellen nach Abschluss ihrer Lehrzeit. 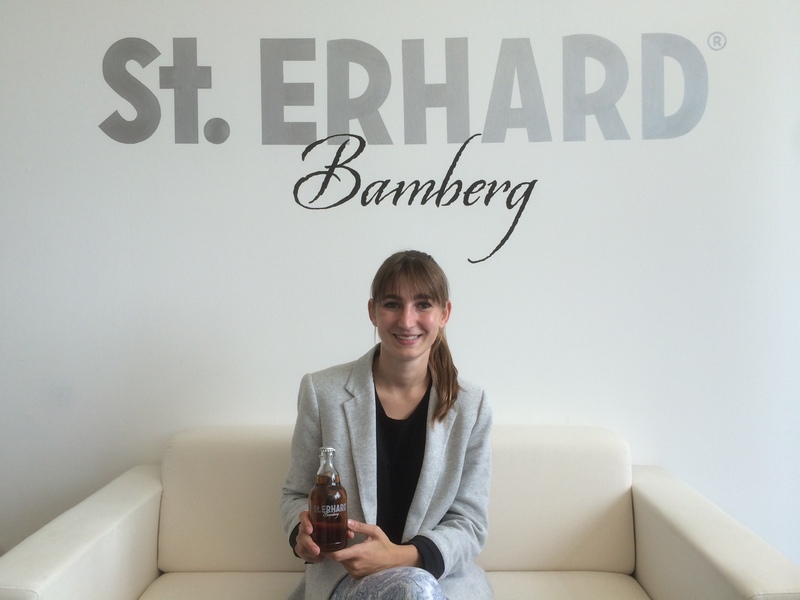 Hello beer lovers, my name is Tanja Roth and I am honored to call myself the first working student at St. ERHARD GmbH and therefore set the basis for future working students at the young start-up company. Currently I am studying International Business Administration in the third semester at the Otto-Friedrich University in Bamberg. I was born and raised in the beautiful surrounding of Franconia, I am fascinated of the beer brewing traditions and how young entrepreneurs like Christian innovate the beer culture and spread the knowledge and the great taste of German beer around the world. 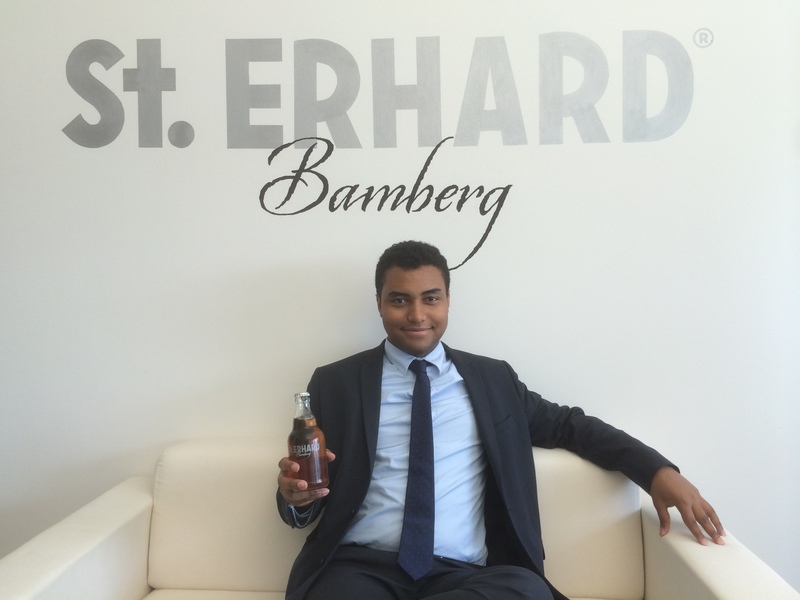 To improve the knowledge I learned in university, St. ERHARD is in my opinion the best chance to gain some practical experience in everyday business operations and because of the focus set on export it perfectly fits the course of my studies. Searching for a potential employer I did some research on the beer companies in Bamberg. St. ERHARD was definitely the most outstanding one and so I tried my luck by applying for it, and here I am. My special connection to beer probably started when I was 7 years old and really thirsty. At a family celebration I headed towards the beer barrel and unconsciously tapped myself a beer. Since then my preference for the amazing taste of beer was set. Now having the opportunity to work at a beer company in my hometown makes me the happiest person on earth and lot of my friends really jealous. Hello, my name is Julia. Today is my first day at St. ERHARD GmbH in Bamberg and I am going to do an internship in Public Relations for the next three months. I am originally also from Franconia but I am currently studying in Erfurt. There I am doing a Bachelor of Science in Communication Science and Management. Since I am not having lectures during the summer time I use this opportunity to gain more practical experience in this great start-up company. In order to introduce myself I would like to tell you a bit about myself. I grew up in Frauendorf which is a small village near Bamberg with only 100 inhabitants. There is not really much in Frauendorf but there is a brewery which is not too special for a Franconian village. This might also be the reason why I like beer so much. After my A-levels I went to Australia for a work and travel year and then started studying in Erfurt. Sometimes in the evening I go to Orange Jungle which is a small beverage store in Erfurt to get a bottle of St. ERHARD. It is great that I can buy this beer in my new hometown. I really like Erfurt but I miss my home. This is one reason why I wanted to do an internship at St. ERHARD in Bamberg. Another reason is that I think working in a start-up company is a great experience. I am very excited to be here and I am really looking forward to the next three months. What an honor! 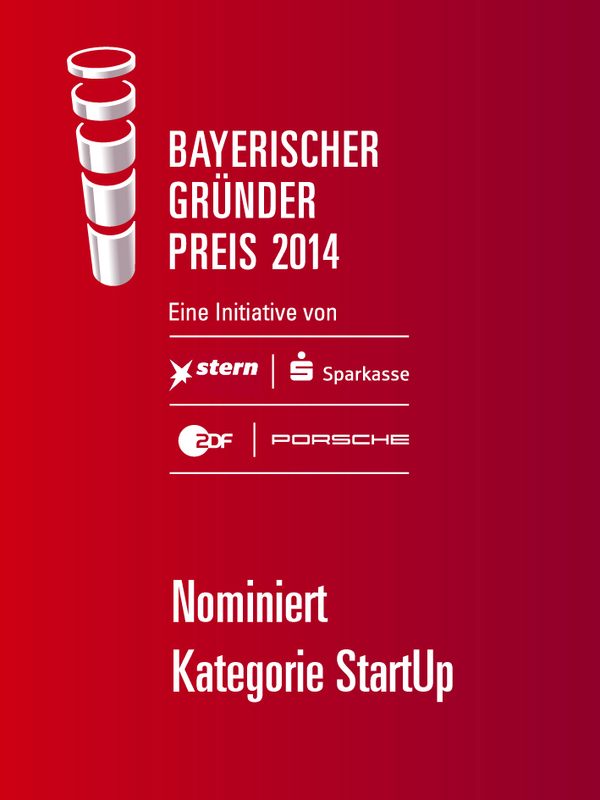 We have been selected by a jury of Bavarian businessmen and representatives of the financial industry to be among the Top3 Bavarian StartUps of the year 2014. 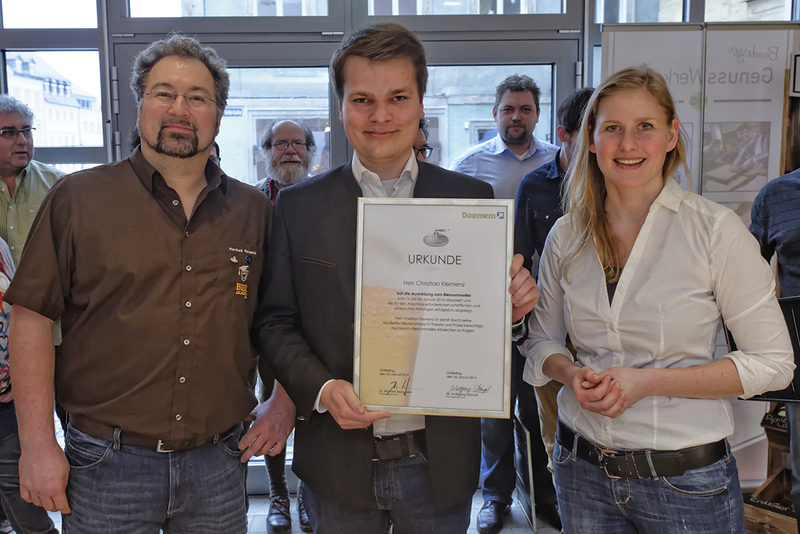 The Bavarian Founders’ Award is the highest award for entrepreneurs in Bavaria and is granted only to those who achieve special and outstanding achievements in the establishment and maintenance of companies. Our congratulations particulary go out to Flixbus which have been selected the winner among the three finalists of the Startup category. Receiving this esteemed recognition is a privilege but also a responsibility. We will continue to work hard on meeting the high expectations which are being put on us. 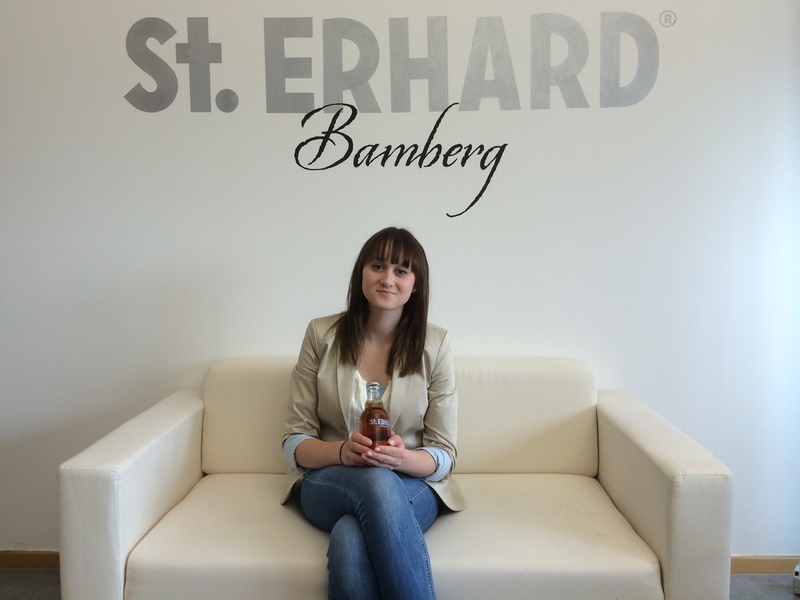 My name is Jaquelin and today I am starting my one-year apprenticeship at St. ERHARD. Last year I have started an dual education program in Berlin to become an event manager. As part of the program I have to absolve an one-year internship at a company to gain an practical experience. With this blog post I want to tell you something about myself. I’ve grown up in a small town near Bamberg which is located in the so-called Franconian Switzerland. The name of the town is Heiligenstadt i. OFr. and has two breweries for only 3.000 people. Like many Franconians growing up in Bamberg area which has the highest density of breweries in the world I grew up surrounded by a lot of beer culture. As I was searching for a local company near my hometown which is also dealing with the organization of events a friend of mine made me aware of St. ERHARD KellerBeats. She said: „St. 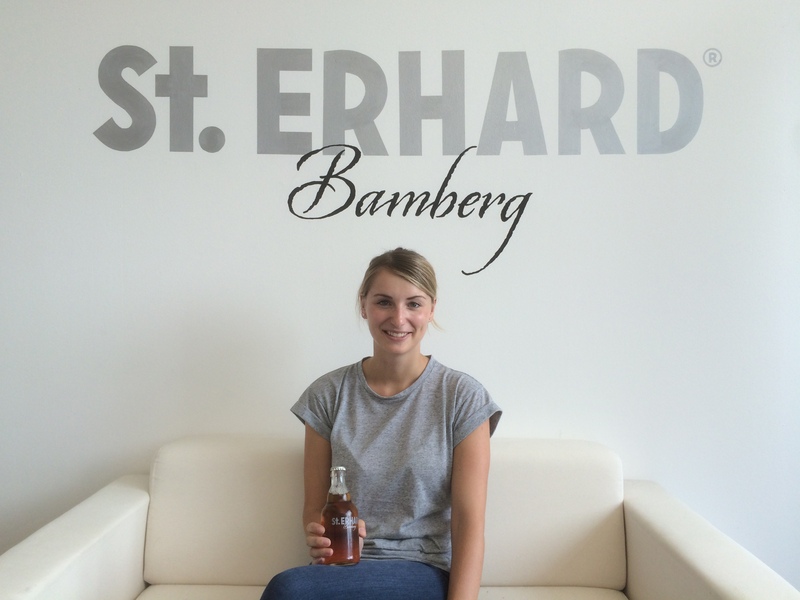 ERHARD is a new beer brand from Bamberg which is also hosting the St. ERHARD KellerBeats series and you are made for it because you love events and beer“. So I decided to apply and I’m happy to start my work there from today. Barely has been cultivated in Estonia from some 1000 years BC and probably with it people also learned how to make fermented drinks from grains such as mead and beer. For medieval age each region of Estonia had developed its own beer making technics and recipes, different flavours, strongness and colours. For example to the beer wort was added juniper infused water, birch whisks, bread, tobacco and even salted sprats boiled water. One could wonder how this would taste? Beer had a strong place in the life around the village. Usually brewing took place several times in a year before bees, holidays and celebrations. In addition beer was brought to the neighbours for building better relations or sacrificed for ancestors’ souls. Industrial production of beer started in 19th century. Nowadays the beer market in Estonia is dominated by two breweries – A Le Coq and Saku – which has about 80% of the beer market. There are also 3 medium size breweries and couple of smaller breweries. Therefore the beer market is not yet much diversified and there are mainly three sorts of beer in hundreds of different versions – pilsner, light lager beer and porter. But as in all over the word the craft beer movement has not moved past Estonia. 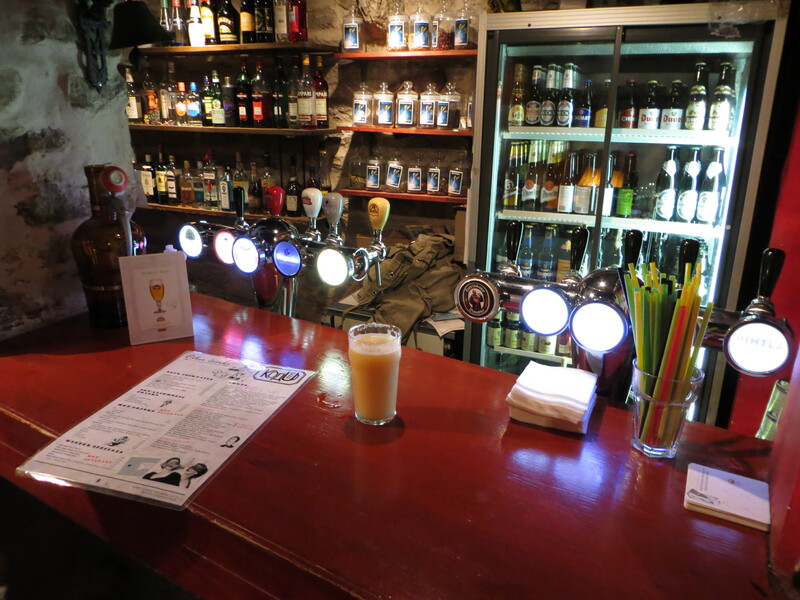 People are more and more into new exquisite tastes and craft beers – both imported and also from the new craft breweries that are being founded in Estonia. And as such St. ERHARD beer has been accepted very well by our first Estonian customers who have ordered through our online store. Cheers! After being in the world of beer for quite some time already I decided to participate in the unique beer sommelier education by Doemens and the Bierakadmie. The course is designed for professionals who work in the alcoholic beverage industry specializing in the service and knowledge of beer. This knowledge includes an understanding of styles, brewing, ingredients, history of beer and brewing, glassware, beer service, draught systems and food pairings. Since my educational background from university is in the area of business and management, graduating with a diploma to become a certified beer sommelier was the best match to complete my studies for doing what I am doing. Team St. ERHARD has made it! Yes! Team St. ERHARD has made it to Cochin. 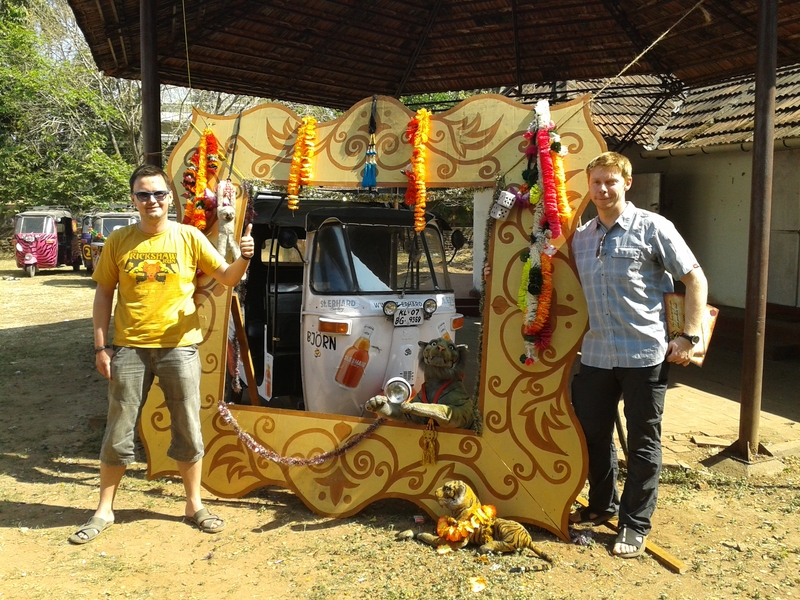 After two weeks and 3,500 km of bumpy Indian roads Mirko and Björn have finally made it to Cochin. They successfully completed “The Rickshaw Run” 2014 from Jaisalmer in Rajasthan to Cochin in Kerala in a 7 horsepower rickshaw. What a wild ride! Congrats Björn & Mirko for successfully completing this mad journey!